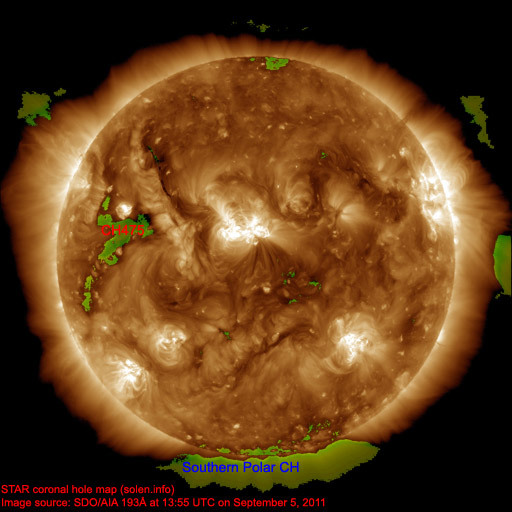 Last major update issued on September 5, 2011 at 04:30 UTC. 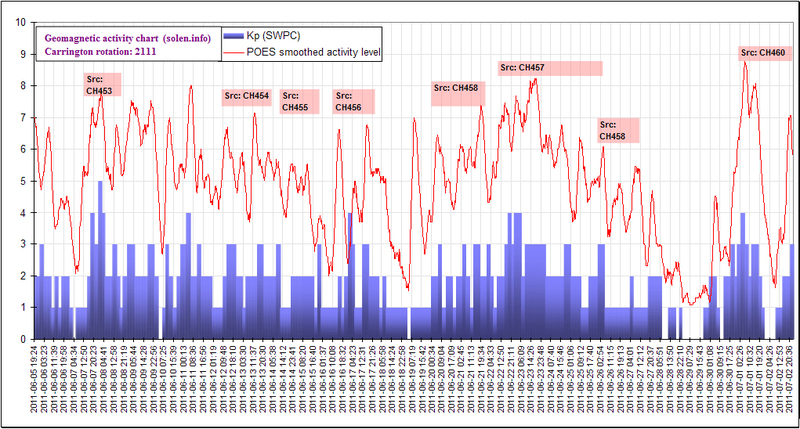 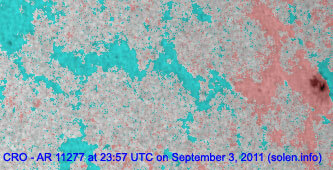 The geomagnetic field was quiet to unsettled on September 4. 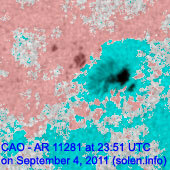 Solar wind speed ranged between 307 and 402 km/s. 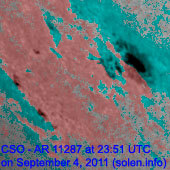 Another low speed stream, this time associated with CH474, arrived at SOHO just after 15h UTC. 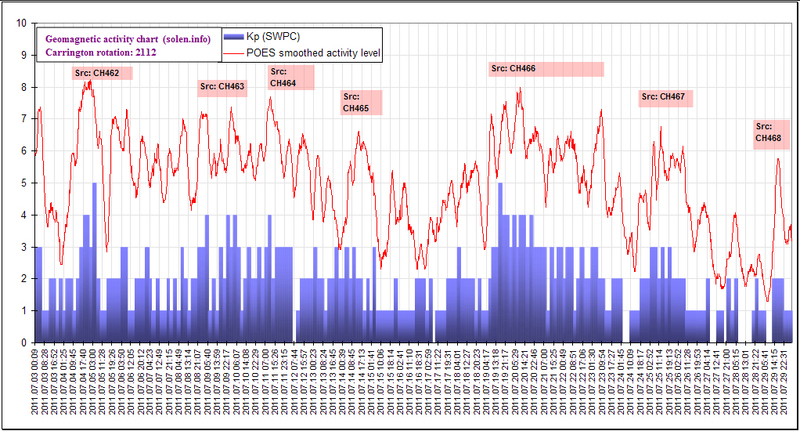 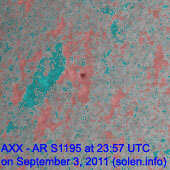 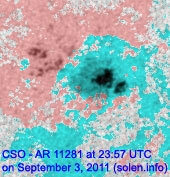 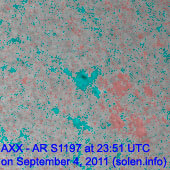 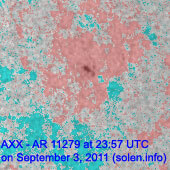 Solar flux measured at 20h UTC on 2.8 GHz was 119.4 (increasing 17.9 over the last solar rotation). 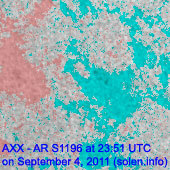 The planetary A index was 8 (STAR Ap - based on the mean of three hour interval ap indices: 8.4). 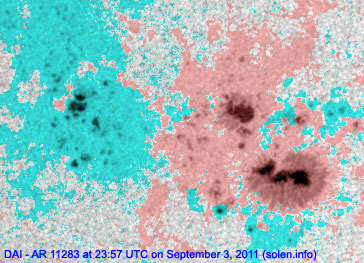 Three hour interval K indices: 23212232 (planetary), 23112321 (Boulder). 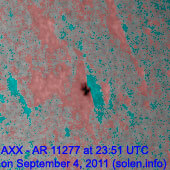 Region 11277 decayed slowly and quietly. 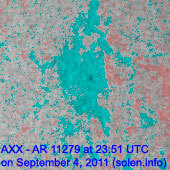 Region 11279 decayed slowly and could soon become spotless. 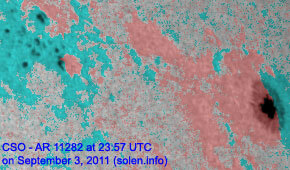 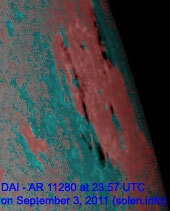 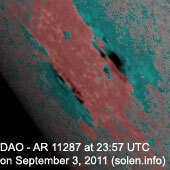 Region 11283 developed with a new penumbra forming to the north of the largest penumbra. 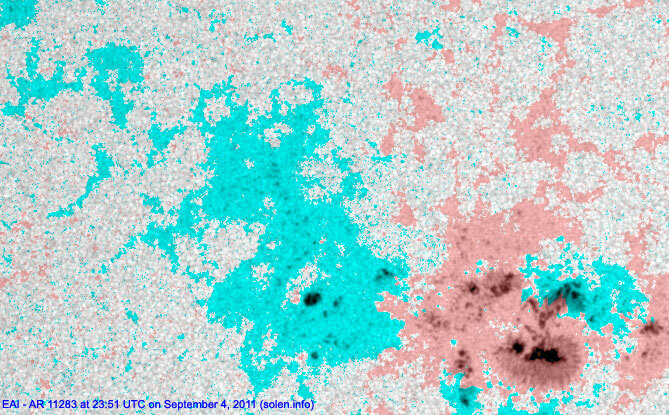 The new penumbra has a magnetic delta structure. 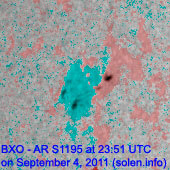 C flares and a minor M class flare is possible. 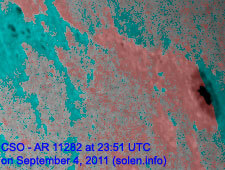 September 2-4: No obviously Earth directed CMEs were observed in LASCO or STEREO imagery. 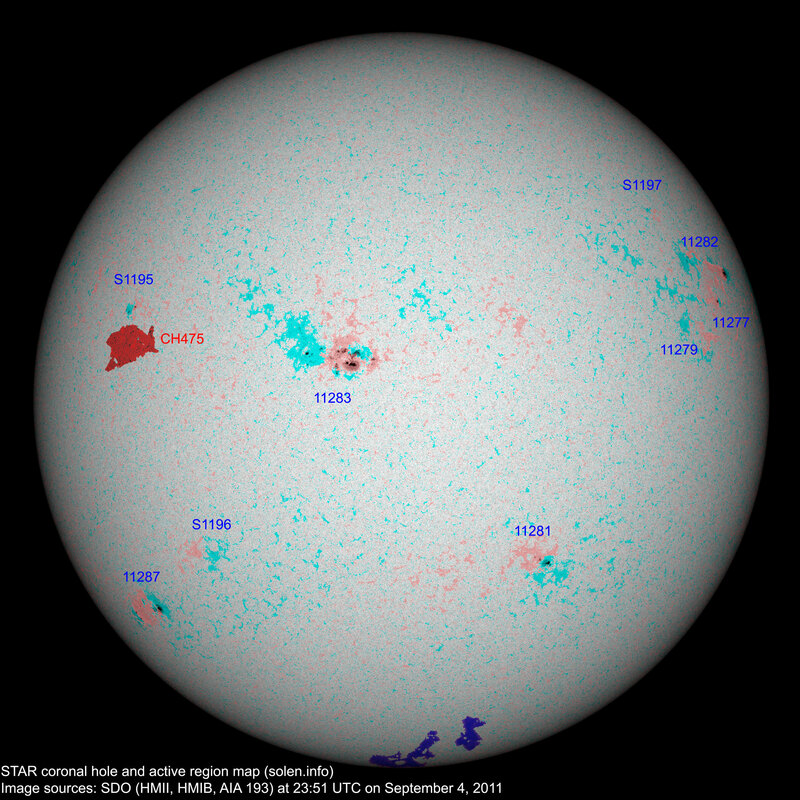 The geomagnetic field is expected to be quiet to unsettled on September 5 and quiet on September 6-7.